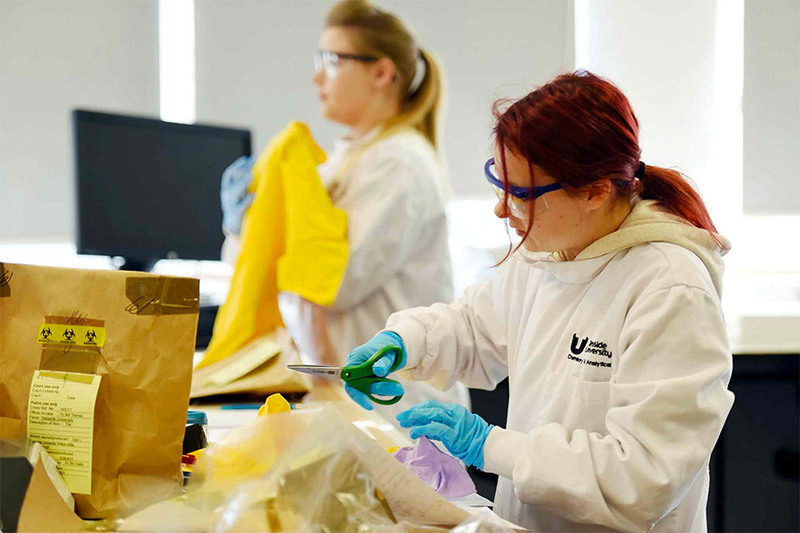 This BSc (Hons) Forensic Science degree course at Teesside University is multidisciplinary. 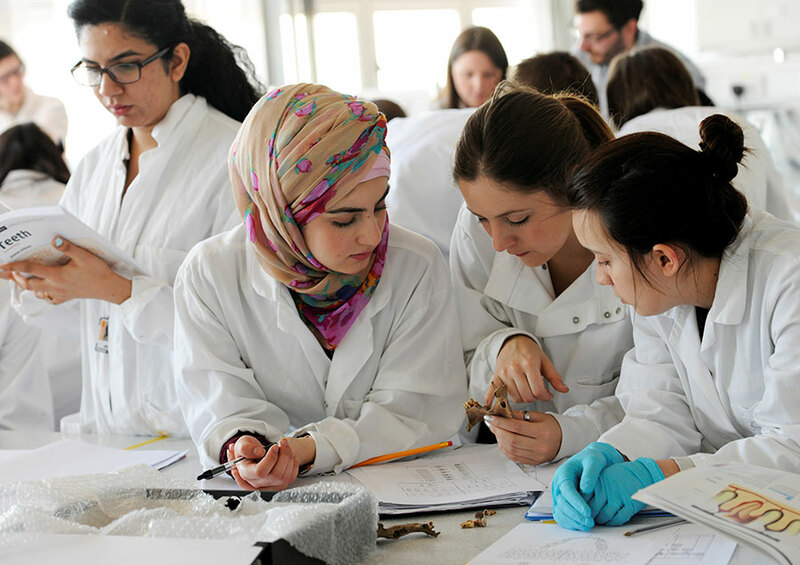 In addition to learning the vital skills relevant to a forensic scientist, you develop an in-depth understanding of key biology and chemistry subjects such as biochemistry, cell biology, genetics, molecular biology, toxicology and analytical chemistry. 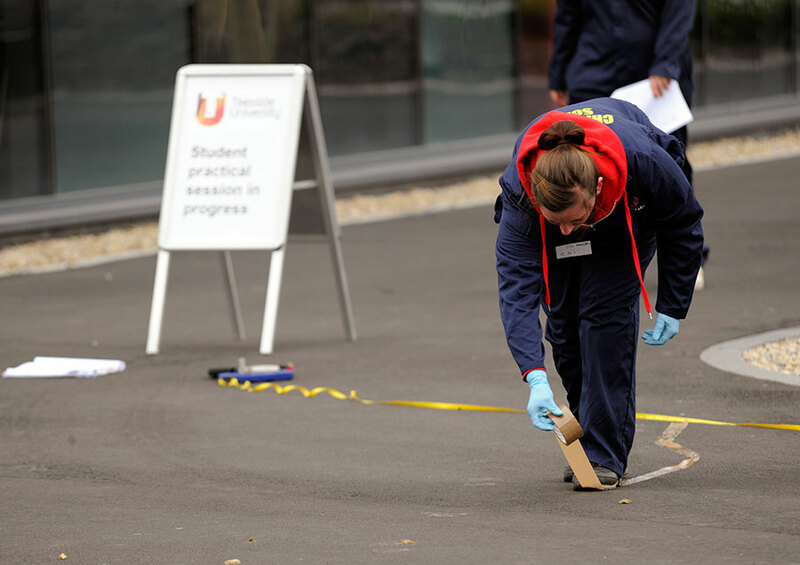 Taking criminal investigation as an example, fragments of glass, paint, fibres, footwear marks or DNA extracted from body fluids can help provide evidence to link individuals with each other or with the scene of a crime. 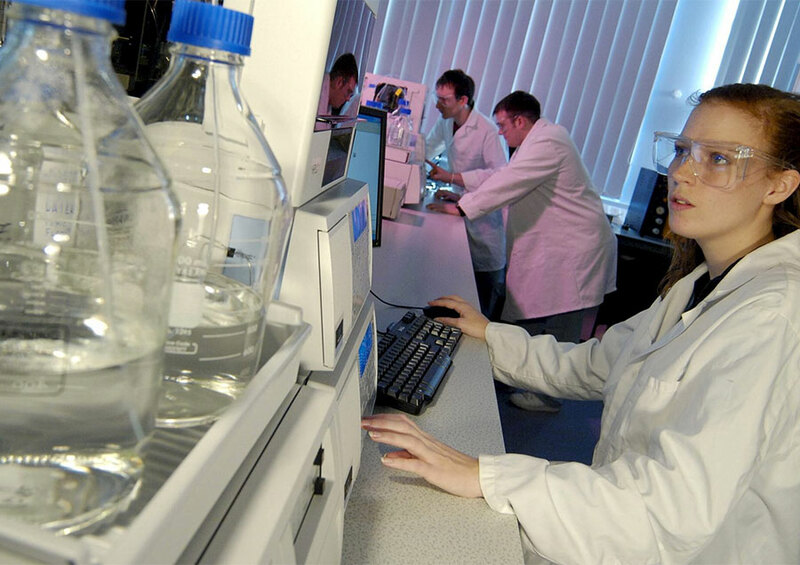 The challenge is deciding which samples to examine and how to obtain the best evidential value by analysing and interpreting them. 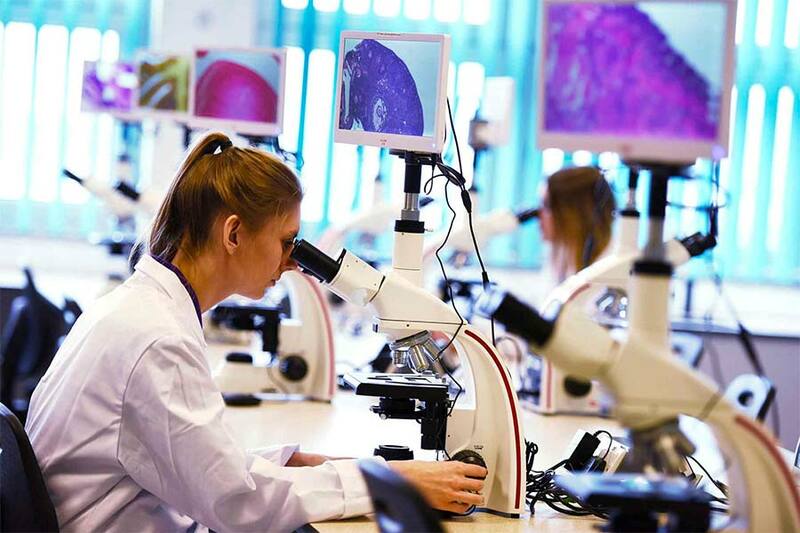 The course has been designed to provide a number of contact teaching and assessment hours (lectures, tutorials, laboratory work, projects, examinations), but you are also expected to spend time on your own, called self-study time, to review lecture notes, prepare coursework assignments, work on projects and revise for assessments. Each year of full-time study consists of modules totalling 120 credits and each unit of credit corresponds to ten hours of learning and assessment (contact hours plus self-study hours). 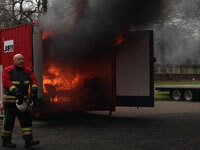 Assessments are varied and reflect the module outcomes. There are written assignments, from essays to court reports, examinations and verbal presentations. 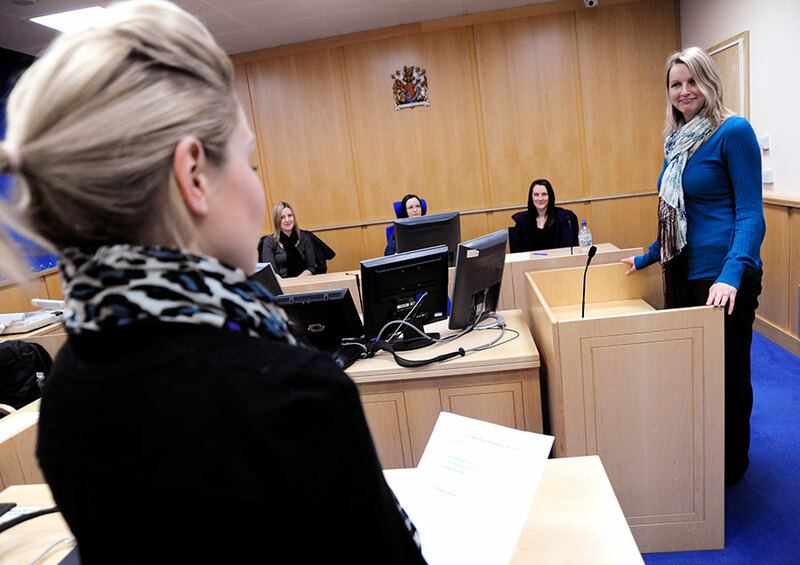 You also have the opportunity to present evidence in the mock court room. 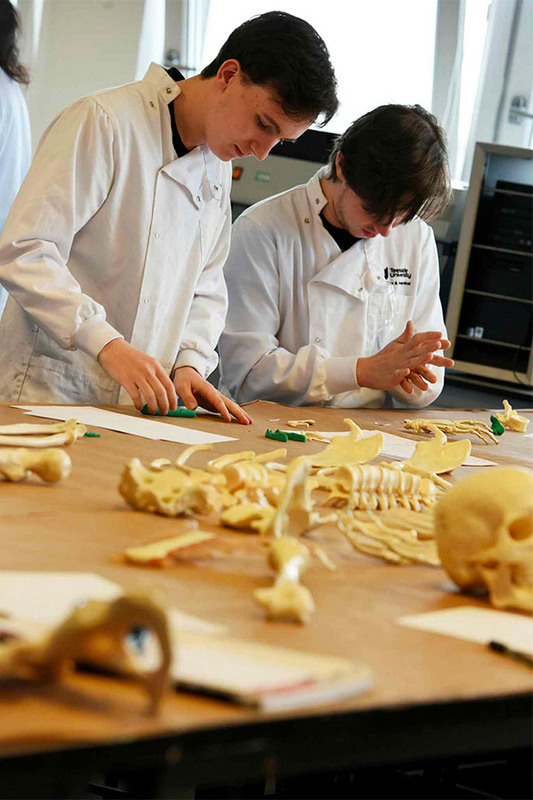 Possible careers include crime and forensic investigation, forensic science, analytical science, either in industry or with a forensic science provider, forensic anthropology, pharmaceuticals, teaching, research science and any other job that calls for sound scientific and investigative skills. 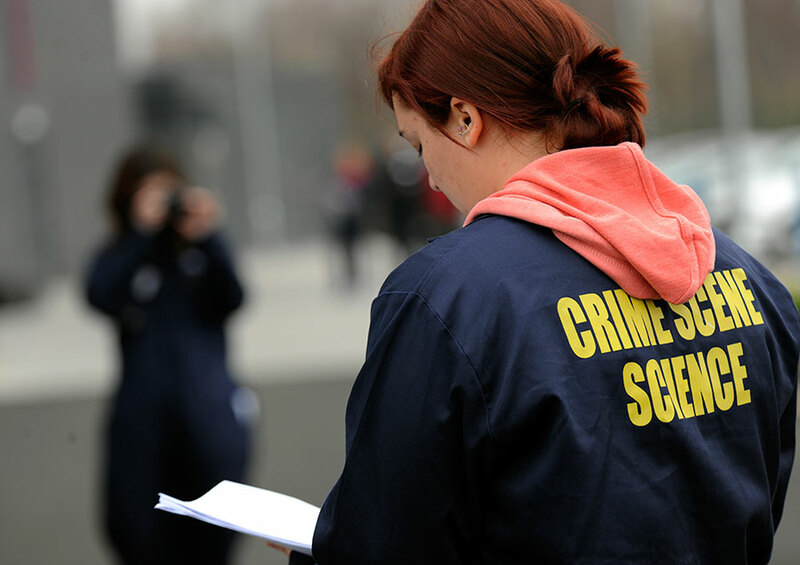 After spending time in the police cadets, Courtney realised her passion for solving crime. 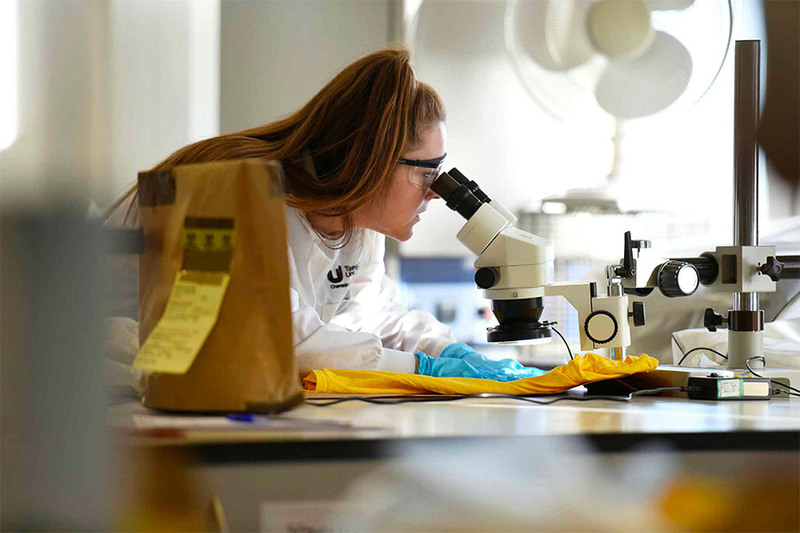 Vicky has enjoyed the diverse nature of her course and is feeling prepared for a career in forensics or analytical chemistry.